Your body contains hormones as messengers. These hormones are produced in the endocrine glands. These hormones help the body process major activities that include reproduction and metabolism. A hormonal imbalance can quickly throw you off, as it affects the whole body. Changes in hormones can cause serious bursts of acne at some point of time. If it’s a severe acne breakout, then it’s time to see a dermatologist who specifically takes care of your skin. There are lots of other instances also when you don’t want them to pop up. Hormonal acne is commonly seen in women between 18 to 40. You’ve got hormonal acne if….. When women are out of their teens, and enter their 20’s there’s a greater chance of acne. 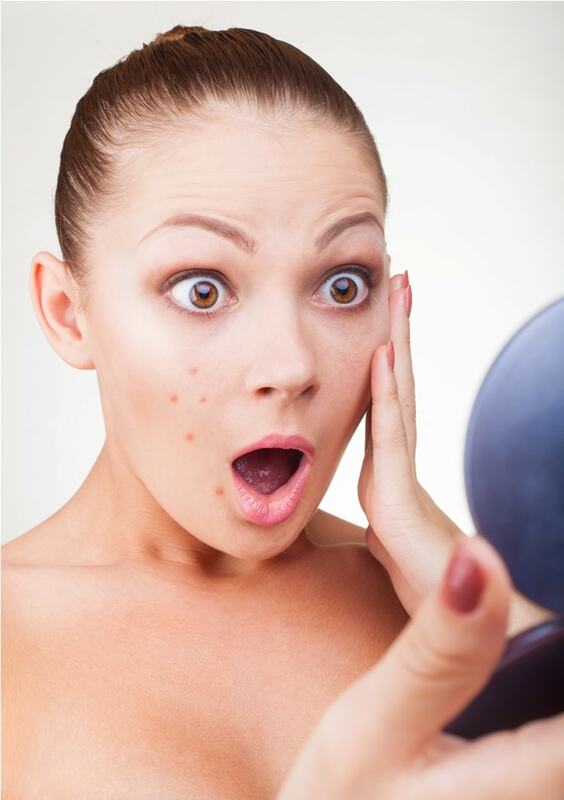 Acne flares up due to hormonal fluctuations that occur in times of pregnancy, menopause, and childbirth. If there are hormonal changes that occur due to other reasons, it could pop up acne. It has been observed that menopause can create a serious outbreak of acne if not treated by a dermatologist. Hormonal acne has a specific pattern, and it follows that pattern like any other body cycle. If there are major fluctuations in the estrogen and progesterone levels, then hormonal flare ups tend to happen at the same location on the body. If there was a pimple before, then there is a probability of a large pore opening up to trap oil.But this can be different for different people. Cortisol, also called the stress hormone has a serious effect on various hormones in the body. This can throw them out of balance. And, since we do live in a stressful society, Cortisol triggers can happen on a regular basis. You should immediately consult a doctor or dermatologist to control your stress, and stay free of acne. If you’re experiencing a lot of acne on your face, especially the jaw line and chin area, then it’s absolutely due to hormonal changes in the body. If there’s a lot of oil clogging your pores on the face, then it’s a hormonal imbalance.Excess hormones stimulate such breakouts through the oil glands. Many of the oil glands are situated around the area of the chin.This acne might pop up near the neck or side of your face as well. If there’s painful acne in the form of cysts then it’s time to visit your dermatologist as these acne or cysts are inflamed, and require clinical treatment. These bumps are deeper under the skin and are difficult to extract manually as well. If you’re surrounded by severe acne, then it’s time to hit the dermatology clinic and get yourself tested for hormonal acne or hormonal changes in the body. Topical medicine will do no good for acne that is caused due to hormonal changes.